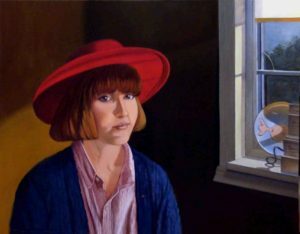 "I have been working as a Professional Artist and Illustrator for over forty years. 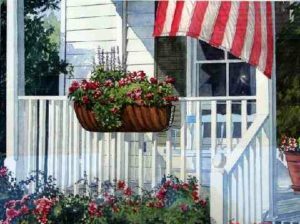 "I studied art in Baltimore, MD, both at the Le Millet School of Art and The Maryland Institute College of Art, and also studied with nationally known watercolorists Claude Croney and John Pellew, both instructors with The Famous Artist School. They are both known for their representational and unique approach to watercolor. "My current interest is directed towards landscapes, cityscapes, and marine art of the Chesapeake Bay. I work both in oils and watercolors. I've recently renewed my interest in classic oil painting. I've participated in Maryland State and Federal Duck Stamp competitions, and have won awards and ribbons in painting, decoy carving, and photographic competitions throughout the region. I recently had a painting published in the International Artist Magazine, as a finalist in their monthly competition. 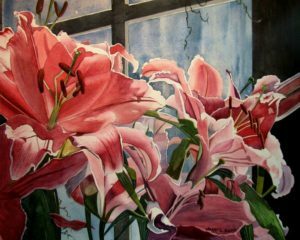 "I'm a member of the Baltimore Watercolor Society, and currently live in Westminster, MD. 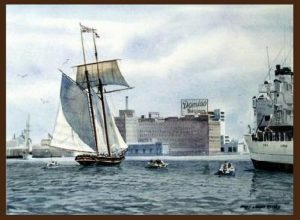 My inspiration comes from the many sailing ships and landscapes in and around the Baltimore Harbor and the Chesapeake Bay Area." Jerry can be reached via phone 410-336-9612 or email jlg_21230@yahoo.com.